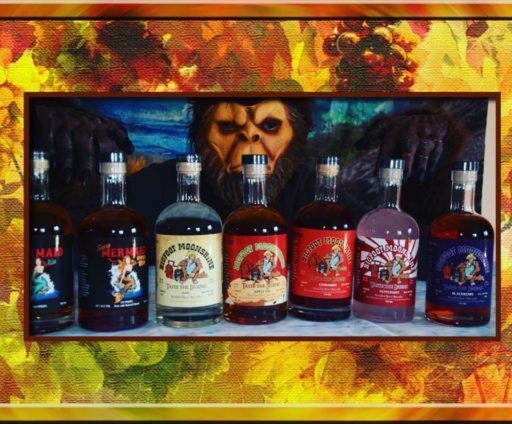 We are a small craft distillery located in Grants Pass Oregon. Making spirits has been a family tradition for over 200 years. In Tennessee in the early days people used alcohol for every ailment. My Great great great grandpa and grandma worked in small farms and sawmills. They moved their families in the back of an old wagon drawn by mules. We had family on both sides of the law. We had some that were the makers of this delicious moonshine and we had hunters of this elusive elixer. There was shoot outs and fights along the way. Which of course led to family feuds, that happens when you shoot a cousin. Our very existence belongs to these rugged men and women that continued making moonshine. They did it for survival but in doing so, they kept family traditions alive and well. We want to honor our family traditions and bring you some very tasty spirits, maybe along the way make some new family traditions.